Today I’m pleased to welcome another holiday guest! 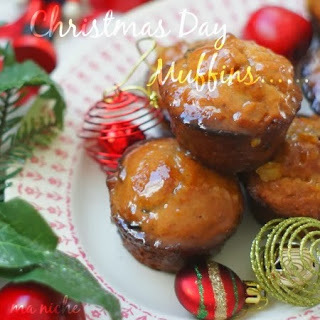 Tanusree of Ma Niche is here to share some Christmas Day Muffins! Add this recipe to your Christmas breakfast or brunch menu, and I’m sure it will be a crowd pleaser! Hello everyone ! I am Tanusree from the blog Ma Niche, where I share my culinary adventures and sometimes easy diy projects. I love everything baked and everything Mediterranean and that is pretty evident from my blog. 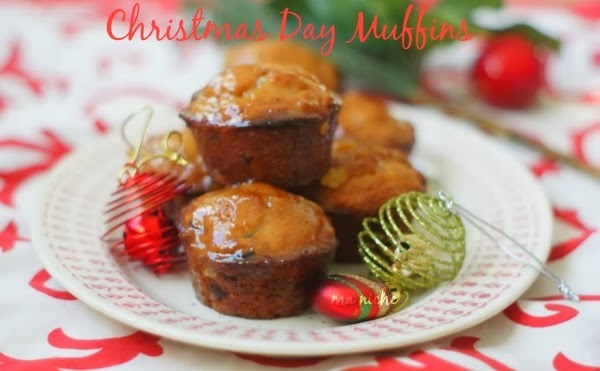 Being from India where a big percentage of the population is vegetarian I often try to bake my cakes, cookies and breads without eggs, and today I am delighted to be here to share my eggless Christmas Day Muffins with you. 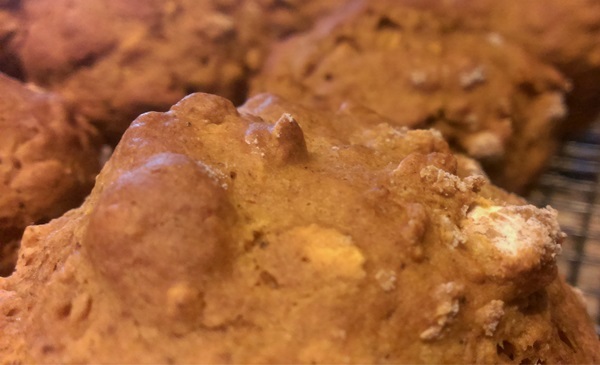 I have baked these using whole wheat flour so they are slightly dense. However if you prefer fluffier ones just substitute the whole wheat flour with an equal measure of all-purpose flour and you’ll be good to go. Grease 7 muffin cups or 7 outer holes of a muffin tray and keep aside. Sift together the flours, baking powder, baking soda and the spices and keep aside. Put the oil, milk and orange juice in a mixing bowl and beat to mix them well. Add sugar to the liquid mixture and beat till it is well incorporated. Add the yogurt, marmalade and orange zest to the sugar-liquid mixture and beat well. Using a wooden spoon gently fold in the sifted flour mixture and the cranberries into the liquid mixture taking care not to over-beat. Spoon the batter into the prepared muffin cups/holes and bake in the preheated oven for 20-25 minutes until the muffins have risen and are golden on top. 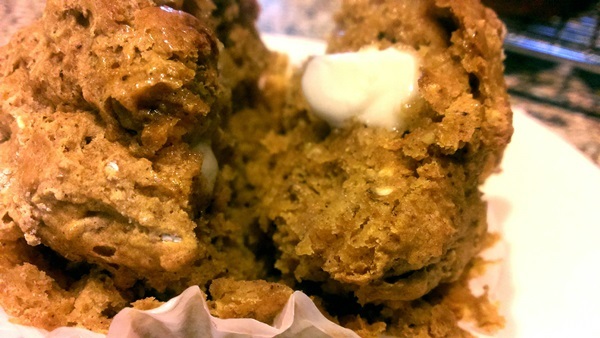 Remove the muffins from their case and let them cool while you prepare the marmalade glaze. For the glaze : Heat butter in a saucepan until melted. Stir in the orange marmalade and orange juice and mix well.Switching off the heat, stir in the salt, the powdered sugar and the rum and mix well until a smooth uniform solution is formed. Dip the muffins into the prepared marmalade glaze, coat them on all sides and let the glaze settle, about 10-15 minutes. Then serve and enjoy ! 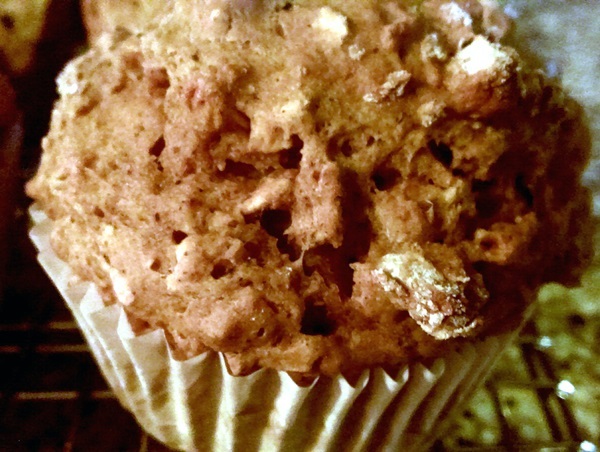 Hope you enjoy these muffins for Christmas and will visit Ma Niche for many such holiday treats. You can also find me on Facebook, Pinterest and G+. Wish you all a Merry Christmas and Happy Holidays ! Thank you Jerri for having me here. It was fun sharing the muffins at 6 Weeks of Christmas Treats ! Thanks again to Tanusree for being here today. Please be sure and drop her blog to say hello!